A guest researcher, a participant of a cooperation program between Hamburg University of Technology (TUHH) and Universitas Muhammadiyah Yogyakarta (UMY) Tobias Domnik accomplished his 6-month research on global biomass supply paths. Tobias stated that Germany is now attempting to shift the use of fossil fuels such as petroleum and coal into alternative fuels. “Government of Germany is seeking to combine solar/wind power and bioenergy such as biomass and biogas to be seasonal fuels. The alternative energy will comply with 37 percent of the total of annual energy needs. Nevertheless, bioenergy potential, particularly biomass, in Germany is limited so that the country will undertake sustainable biomass imports,” explained Tobias. On his research, Tobias focused on biomass forms in a by-product and residue of palm oil production. “The by-product and residue of palm oil production can be utilized and processed to be an alternative fuel biomass. Indonesia has been utilized the by-product and residue even though it has yet been commercialized,” told Tobias. Tobias’ research aimed to foster a global biomass supply chain model. “A supply chain to residue from palm oil management industries has existed in Indonesia. The model, then, is employed to carry out result interpolation for existing supply chains, especially cross-border supply chains,” he conveyed. 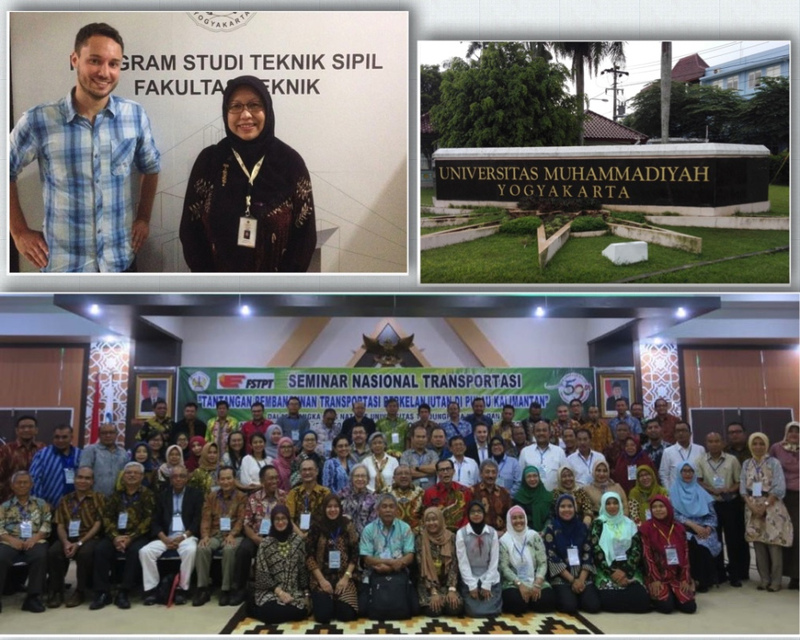 In conducting the research, Tobias was supervised by a lecture of UMY Dr. Noor Mahmudah, S.T., M.Eng. who is an expert at palm oil production and transportation. Besides, while doing research, Tobias was actively engaged in events and a national transportation forum in Pontianak so that he met other researchers. He also visited cities in Indonesia to gain deeper understanding of palm oil industry complexity in Indonesia related to economic dependence and environmental impacts, the significance of infrastructure and employment development. To comprehend all of the aspects entails understanding from various perspectives, particularly from the European Union and Southeast Asian countries.